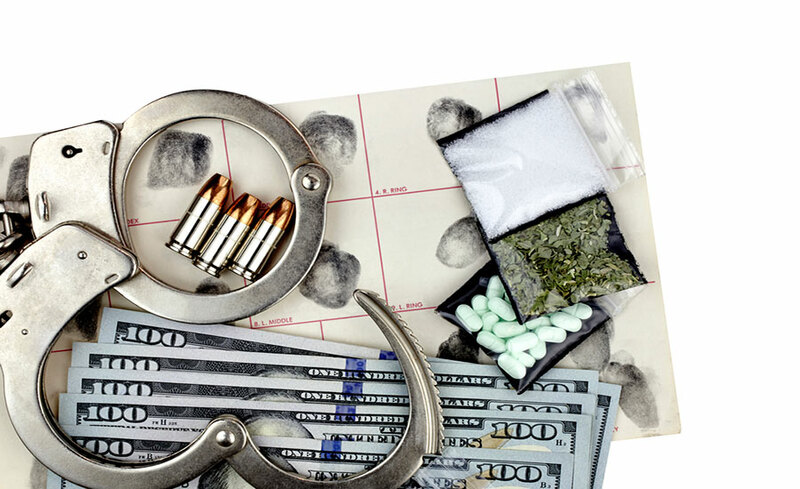 DRUG CRIMES – Mullen Schlough & Associates S.C.
MULLEN, SCHLOUGH & ASSOCIATES S.C. ATTORNEYS ARE LEADING RIVER FALLS AND CHIPPEWA FALLS AREAS DUE TO THEIR LAWYERS EFFICIENT CRIMINAL DEFENSE DRUG CRIMES PRACTICE. Drug crimes in Wisconsin are stern offenses, and they carry unsympathetic penalties. Wisconsin’s drug laws describe these types of crimes as offenses involving the production/manufacture, distribution, delivery, possession with an aim to deliver and possession of controlled substances. There are a few classifications of controlled substances, with each being tagged Schedule I through Schedule V. Schedule I drugs have the utmost possibility for abuse and don’t have an established medical use, while drugs that are categorized under Schedule V have the least possibility abuse and do have established medical uses. Schedule I Narcotics – examples are depressants, hallucinogenic substances, synthetic opiates, and stimulants such as Psilocybin, MDMA, GHB, PCP, Heroin, and LSD. Schedule II Narcotics – examples are stimulants, opium, and opiates (including synthetic), substances of plant origin, depressants and hallucinogenic substances such as Oxycodone, Methamphetamine Amphetamine, Opium Cocaine, Codeine, Morphine, and Methadone. Schedule III Narcotics – examples are anabolic steroids, stimulants, Pentobarbital, Ketamine, and hallucinogenic substances. Schedule IV Narcotics – examples are stimulants, depressants, and other substances such as Phenobarbital, Clonazepam, Lorazepam, and Diazepam. When you’re sentenced for any drug offense in Wisconsin, the judge will definitely suspend your driver’s license for no less than six months. The judge for your case, at his or her tact, may suspend your license for as long as five years. At times, the judge may, in any case, permit an occupational related driver’s license – yet that doesn’t generally occur. Possession of Schedule I or II Narcotics is a Class I felony, punishable by up to $10,000 in fines or up to 3 years in jail, or both. A first conviction for THC comes with a fine of up to $1,000 or six months imprisonment, or both might be given. Any second or resulting conviction is a Class I felony, which comes with a fine of up to $10,000 or 3 years imprisonment, or both. A first conviction for PCP, Methamphetamine, LSD, Amphetamine, or Psilocybin comes with a fine of up to $5,000, or one-year imprisonment, or both. A second or ensuing conviction is a Class I felony with conceivable punishments of up to $10,000 in fines and up to 3 ½ years in jail, or both. On the off chance that you’ve been accused of any drug crime in Wisconsin, regardless of whether you believe it’s a low-level offense, you might need to meet with a lawyer about your case. A legal advisor will almost certainly disclose the conceivable outcomes to you and answer every one of your inquiries. You have every right to fight the charge, regardless of what conditions encompassing your arrest. There are specific defenses that may apply to your case, and an experienced lawyer will investigate thoroughly and challenge every aspect of the prosecution’s case. At Mullen Schlough & Associates S.C., their first priority is to keep your record clear of a drug conviction. They will thoroughly investigate all the evidence in your case and actively challenge any flaw or weakness – Did the police have credible cause to search your person, your residence or your vehicle in the first place? Was there a search warrant and did the police have credible cause to legally attain it? Can the prosecution prove that you were lawfully in possession of any controlled substance? The lawyers at Mullen Schlough & Associates S.C. have a reputation for persistently protecting the rights of their clients and aggressively challenging the prosecutor’s case. They understand that a drug possession conviction could have a negative impact on your future professional, educational and personal prospects. They will aggressively pursue strategies to find alternatives to a drug possession conviction. Their firm’s reputation for excellence could be your biggest advantage in fighting your drug possession charges.